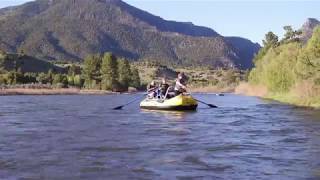 Spend your afternoon exploring the incredible waters of the Upper Colorado River with a knowledgeable fishing guide. It doesn’t matter if it’s your first time fishing or you’re a seasoned angler, this trip is fit for all levels of experience. Whether you’re looking for a unique date idea, a family outing, or you and some buddies feel like trying your hand at fly fishing for a few hours, AVA’s 2 Hour Wade Fly Fishing Trip is perfect for all of the above. Your guide knows exactly where to head on the Colorado River for your best chance to catch a fish. They’ll assess the water clarity, water levels, soil type, and time of year before deciding on the perfect spot to cast a line. AVA’s fly fishing guides have been exploring these waters for multiple years, so you’ll be in good hands. All gear, including up to 6 flies per person, will be provided. Guests over the age of 16 will need to provide a valid Colorado Fishing License. Colorado Fishing Licenses can be purchased online with Colorado Parks & Wildlife, Take Me Fishing and/or at most outdoors stores. 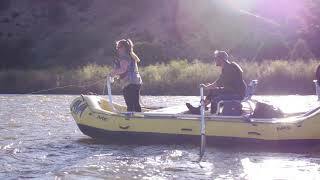 Cast a line and test your luck on the Upper Colorado River!